My new lab equipment is located in the front room of my house as it is closest to my Internet connection and I don’t have network cabling run through the property so it would have been a pain to locate the kit elsewhere. I don’t want to leave a keyboard/mouse/monitor attached to the two servers so I will be making use of the dedicated IPMI (Intelligent Platform Management Interface) network port to provide remote management. 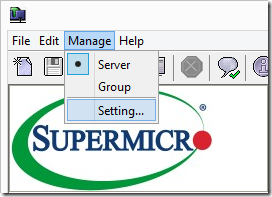 The IPMI interface can be connected to via a web browser but Supermicro also provide an application called IPMIView. This is a Java based application and they even have a mobile device version for smartphones and tablets. Please note that you don’t need to install IPMIView, as I mentioned above you can just point a browser to the IPMI port and that will work just fine assuming you have the necessary Java plugins installed. Once you have installed IPMIView and any required Java components you may be missing it’s time to launch the program and configure it. Below is a screenshot of the application in it’s initial state. The first thing I’m going to do is add my two lab servers so I can remotely manage and monitor them. This can be achieved either by clicking on the page icon or via ‘File –> New –> System’. The new system menu requires some basic information. Both systems are now added to IPMIView. 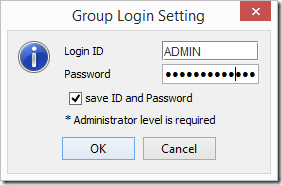 If we double click on one of the systems IPMIView will prompt for credentials. You can also use an auto-discover feature in IPMIView to find IPMI interfaces on a subnet. In my case, with only two devices I chose to configure them manually. Obviously as the scale of the task increases it makes more sense to leverage device discovery functionality. The Java application obviously looks pretty dated and nobody really wants to run Java plugins etc with the security risks. There is talk that Supermicro will be moving to HTML5 based IPMI management which would be great. Other vendors are doing the same so hopefully in the not too distant future we can say goodbye to these implementations which require so many additional plugins.